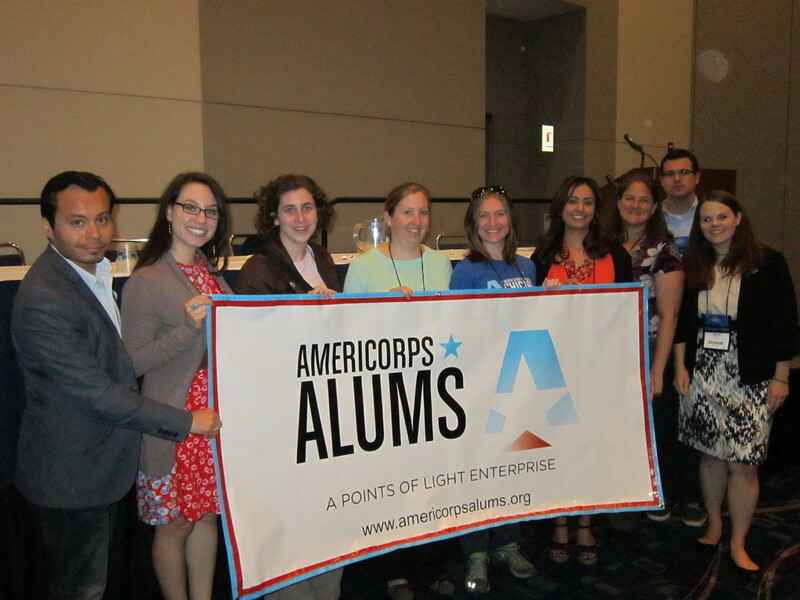 AmeriCorps Alums Chapters Leaders at NCVS 2012 in Chicago. The AmeriCorps Alums Chapter Network offers a unique opportunity for alumni to build and develop leadership and career skills by serving in a chapter leadership position. But rather than just tell you about it ourselves, we wanted you to hear how the opportunity has benefited our alumni straight from their own mouths. My AmeriCorps experience really changed the direction of my life—I think, for the better. It helped me discover a passion for education and nonprofits that has informed my current work as the Senior Development Manager for Junior Achievement of Dallas. After my AmeriCorps service, I wanted a way to continue to engage with national service programs and alumni. The AmeriCorps alumni that I worked with while I was serving were my favorite people, and fortunately, were the local Chapter Leaders of the AmeriCorps Alums of North Texas. They decided I showed great initiative and asked me to serve on the Leadership Team. When one of the co-leads moved to another state, the remaining Leader, Lisa Tatum, asked me to join her as co-lead. In just a year, it has been a tremendously enriching experience. From creating a media strategy to engage more alumni to working with local AmeriCorps programs to form the North Texas AmeriCorps Alliance, the position as Chapter Leader has allowed me to hone professional skills in ways I never would have imagined of a volunteer position. In addition, I have been able to develop knowledge in the areas of public relations, marketing, and communications. These additional skills have allowed me to take more initiative in areas of my “day job” not normally within my scope of work. Not only that, it has been wonderful getting to know my local AmeriCorps peers and work with AmeriCorps Alumni who have become not only professional connections but dear friends. I once dreamed of a career in film production. As I pursued my dream, however, I realized I just love watching movies. I found myself wondering, “now what?” AmeriCorps redirected me onto a career path in service and helped unveil my true passion: serving my community. The fundamental skills I learned during my term of service developed into best practices I still rely on today as Volunteer Supervisor for CoachArt. During a casual conversation with friends a few years ago—colleagues from the Los Angeles service sector—I learned about the local AmeriCorps Alums chapter and was invited to join the board. I had no idea what to expect. What I discovered was awesome: a group of smart, motivated, like-minded, young professionals that cared about our community as much as I did! I knew immediately that these were my friends and colleagues for life. As Chapter Co-Chair, I‘ve had the opportunity to work with other Alums, current members, nonprofit organizations, volunteers and more! The relationships that I’ve fostered have proven to flourish into a vibrant, potent network. Professionally, I’ve learned how to leverage my network to help address various community needs by identifying and directing resources where they are needed. During a recent period of unemployment, I received unwavering support—words of encouragement and job leads—and I found employment quickly. I’ve also been able to tap our network resources to support young Alums asking themselves, “now what?” AmeriCorps was there for me. And now, I’m here for you. If you are interested in becoming a chapter leader, you can contact your local chapter and inquire about leadership opportunities. If no chapter exists in your area, consider applying to become a chapter leader.